Follow along as we remodel the Kitchen in this St. Paul home while adding a Powder Room and outdoor dining space. Our clients enjoy cooking and eating food indoors and outdoors! We’re updating their Kitchen, and adding an outdoor cooking/eating/entertaining space to their St. Paul home. 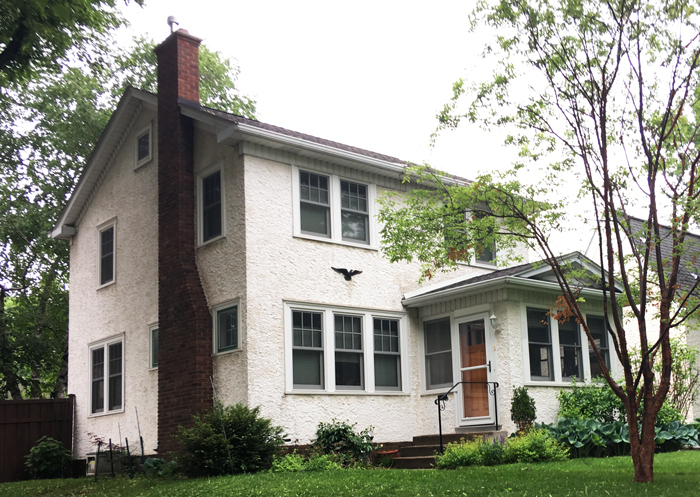 The homeowners live in a classic St. Paul Colonial 2-story built in 1927, and this is their second project with White Crane. They love to eat inside and outside, so we are remodeling their Kitchen and building a new deck. This will create an improved outdoor meal and entertaining space. In this remodel, we’re opening the Kitchen to the Dining Room, adding a Powder Room within the existing space, and adding a deck for outdoor cooking, dining, and entertaining. This project will take approximately 12 – 14 weeks to complete. 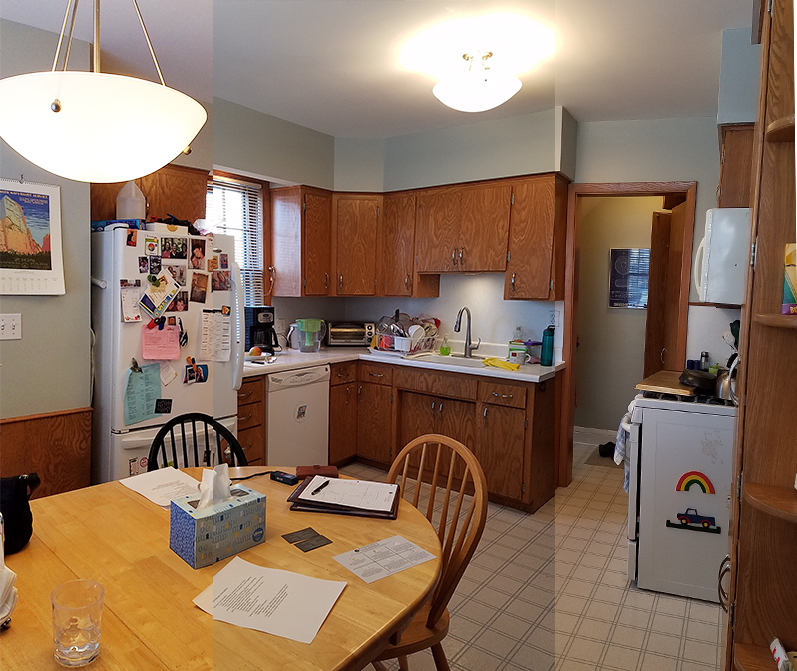 Kitchen Before: The existing Kitchen is dated, lacks storage and counter space, and has no direct access to the backyard. 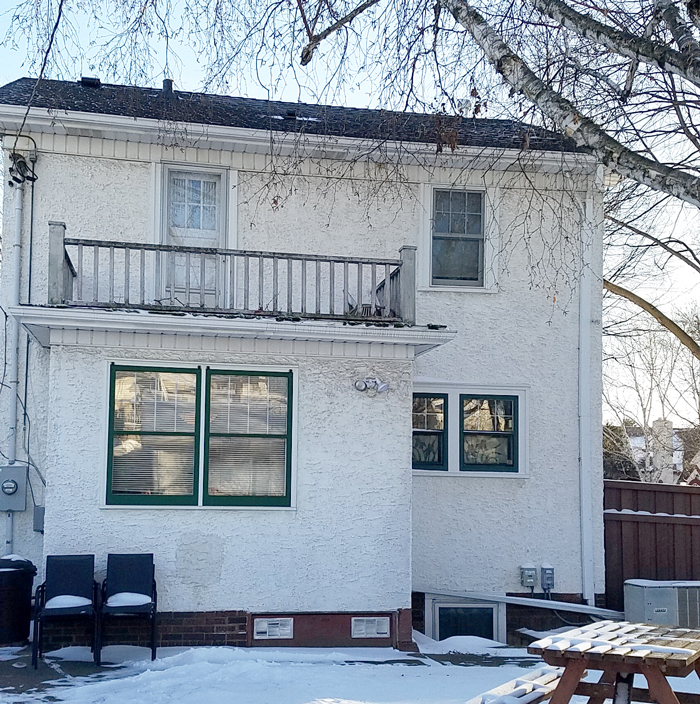 The existing window in the eat-in area of the Kitchen will be replaced by a new patio door that will open from the remodeled Kitchen to the brand new deck. 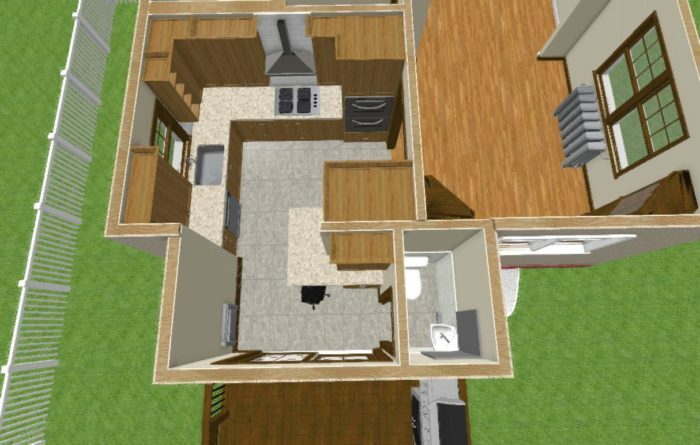 A 3D plan view of remodeled Kitchen & Powder Room, and deck. Up Next…Take a look at the design for the Kitchen, Powder Room, and Deck.